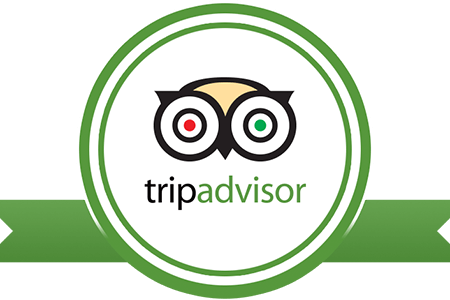 The Mandalay Hill, it offers visitors a superb panorama of nature all round – the crenellated walls of the old palace with its wooden spires and the Turf Club, on one side, and the long line of the distant blue Shan Hills, on the other. There are three covered approaches to the Hill. On the south-eastern slope of the Hill, a new modern stone structure has been built to house what have come to be called the Peshawar Relics (sacred relics of the Buddha excavated by Dr. D. B. Spooner of the Archaeological Survey of India at Peshawar, in the first decade of this century). 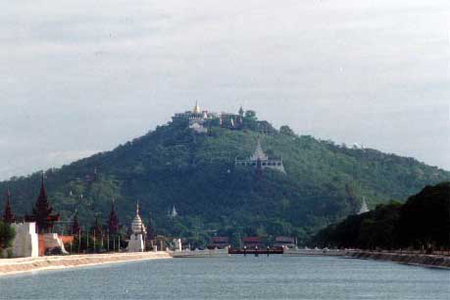 Near the southern approach to the Hill stands the Kyauk Tawgyi Pagoda built by King Mindon. It is believed that the marble block was so big that ten-thousand men had to spend thirteen days to transport and carry it from a canal to the site of the pagoda. Round the shrine, there are figures of eighty disciples of the Buddha, twenty on each side. It was the king’s desire closely to follow the design of the magnificent Ananda Temple at Pagan, but a palace rebellion came in the way. To the east is the Sandamani Pagoda, built on the grounds on which the temporary palace of King Mindon stood while the new palace was coming up. This pagoda is also known to have been raised over the graves of the Crown Prince and some members of the Royal Family, who lost their lives in the palace rebellion of 1866 when an attempt on the life of King Mindon was made. Nearby, we have the Kuthodaw (meaning the Royal Bounty) also otherwise called the Maha Lawka Marazein Pagoda. 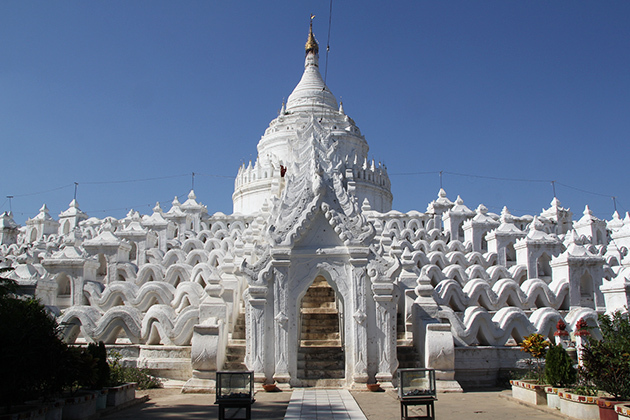 Modeled on the Shwezigon at Nyaung-oo (Pagan), it was built in 1857 by King Mindon. 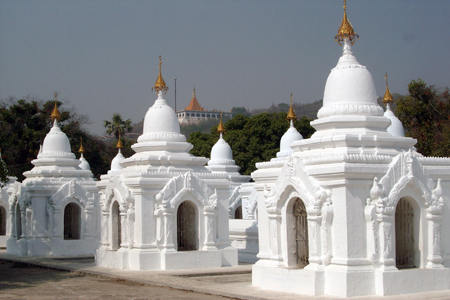 There are some other celebrated pagodas in Mandalay but the Kuthodaw paoda is most unique and different from the others. What gives this pagoda the place it holds in the eyes of the Buddhists the world over are the 729 monoliths of white marble on which the Buddhist Canon (Tripitaka Texts) have been inscribed, as authenticated by the Fifth Buddhist Synod, the convening of which gives King Min- don a place in Buddhist history. Each slab has a small temple erected over it and going through the 729 temples must, naturally enough, cause an ardent Buddhist not only deep veneration but regard for the man whose idea it was to hand down to posterity a veritable bible in stone. The 729 stone slabs comprise—Vinaya 111, Suttas 410, and Abhidhamma 208. 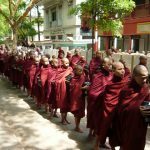 The Sixth Buddhist Synod, which is currently in session in Rangoon in the Mahã Pãsana Giiha, is picking up threads and moving forward on the basis of the version of the Tripitakas one finds gloriously inscribed in stone. The pagoda itself is a huge one and the four entrances are marked by vestibules with mounted two-storey towers. In the vicinity of the Kuthodaw, there are the imposing ruins of the Atumashi Kyaung (The Incomparable Monastery) which is contemporaneous with the Kuthodaw. All that remains of this great monument, which has drawn ecstatic accounts from western travelers who saw it whole, are brick-work platforms and a hint that the wooden building which previously stood was mounted on five rectangular terraces. This monastery was burnt down in 1890. 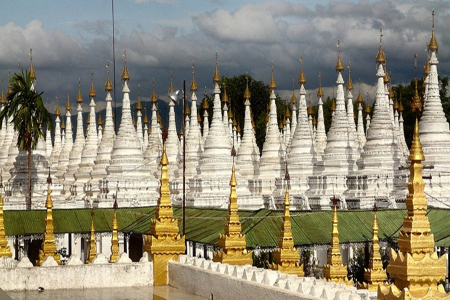 729 stupas are considers as the world’s largest book at the Kuthodaw Pagoda. By the side of the Atumashi Kyaung there stands the only vestige of the magnificently carved and gilded timber buildings that one could see before the palace was destroyed. This is the Shwe Nandaw Monastery which contains a replica of the royal throne. It is said that Thibaw used to come here for meditation and the couch on which he was accustomed to sit can still be seen. Inside, one also finds brilliant glass-mosaic work. 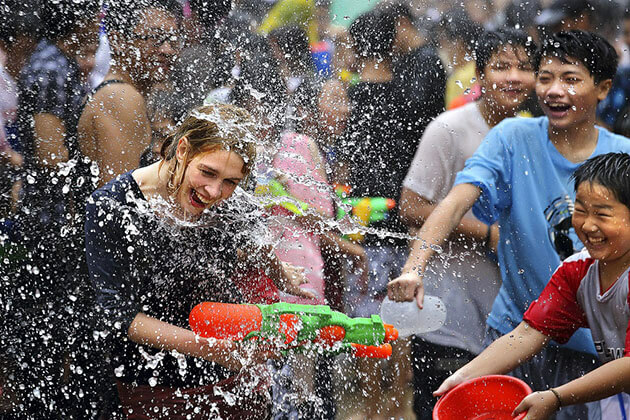 Originally, the Shwe Nandaw Kyaung was, in fact, an apartment of the Royal Palace. It was in this apartment that King Mindon and his Chief Queen, Setkyadevi, spent most of their happy married life. It was the building that King Mindon spent his last breath, after a prolonged illness to build. 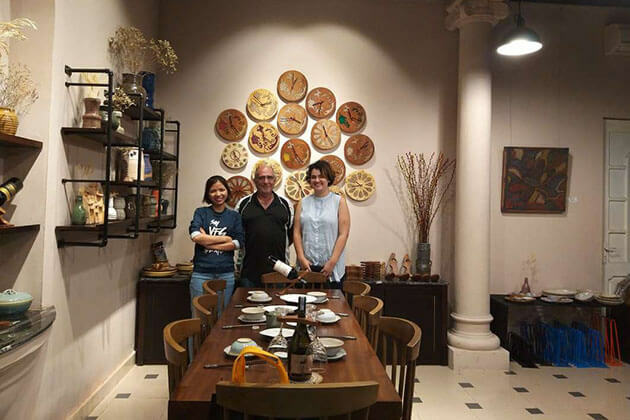 After Mindon’s death, his successor, Thibaw, because of the associations and memories the apartment carried, decided not to use it or live in it. Later, he got it transplanted bodily to the present site and housed a monastery in it in order that merit may accrue to his predecessor. It is, indeed, a veritable museum of mid-nineteenth century Burmese wood-carving. Though the palace is no more, what is left of it-the 27 feet high and 10 feet thick walls making a perfect square, the gates and the wooden pyatthats or spires and the 225 feet wide and 11 feet deep moat all round, with water lilies blooming-can still be, and is, a major attraction. During the time of the British and before the bombing, there were a Fort (called Fort Dufferin), a Government House and the English Club inside the palace grounds. The existing remains of “The Centre Of The Universe”, “The Golden City” or the fabulous city within a city that was, are the old Fire Brigade, a huge shed with corrugated iron sheet roofing; the tombs of King Mindon; his Chief Queen, Setkyadevi; the Medawgyi Oueen (mother of King Pagan and King Mindon); the Laungshe Queen (wife of King Mindon) and Hsinbyumyashin (mother of Queen Supayalat); and a watch tower which is in a dilapidated condition. There is also a stone tablet marking the spot where King Thibaw surrendered to the British General. You can also see the remains of ornamental ponds in which royal princes and princesses used to swim and play, the spots being marked by artificial terraced mounds of rock. In the centre of this old palace square rises Modern Burma’s Independence Monument. 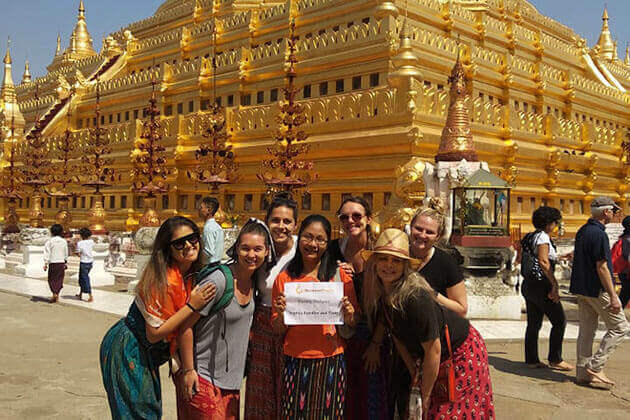 Right in the heart of Mandalay stands the Shwe Kyi Myint Pagoda built by King Minshinsaw, son of King Alaungsithu (1114-1167) of Pagan. This shrine is noted for two things: the image is the original one consecrated by the builder himself and it has now become the storage of many Buddha images salvaged from the palace – the images made of gold and silver decorated with invaluable precious stones; the collections of successive monarchs. There is also a small golden palanquin and, outside, on a verandah, a wooden palanquin used by a lesser queen. You will also find many images of the Buddha in the quadrangle of the pagoda. On the 85th Street, in the neighborhood of Mandalay’s Zegyo Bazaar, is the Set Kya Thiha Pagoda, The Buddha image in this pagoda, which was cast at the instance of King Bagyidaw in 1823 at Ava, and subsequently shifted to Amarapura in 1849, was brought to Mandalay in 1884. It is a huge image of bronze measuring 16 ft. 8 ins. This image is reputed to be one of great workmanship. The temple, which is on an elevated masonry platform, was badly damaged during the war, but has since been renovated. In the courtyard of the pagoda there are many images of the reclining Buddha and also the sacred Bo tree planted by the Prime Minister of Burma, U Nu, in an enclosure to the right of the entrance. The Eindawya Pagoda, built by Pagan Min ill 1847, on the site of the palace in which he resided before he ascended the throne, lies a little to the north-northwest of Set Kya Thiha. Heavily gilt, this beautifully proportioned shrine houses a chalcedony (a type of quartz mineral with an admixture of opal) image of the Buddha said to have been brought from Buddha Gaya (India) in 1839. 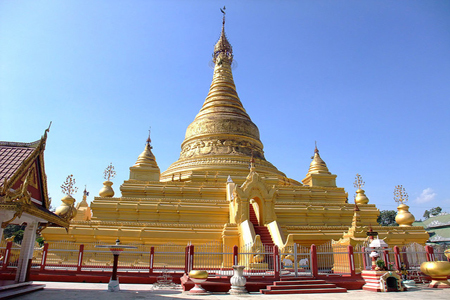 To the south of the city is the much-venerated pagoda, which is variously called the Maha Muni (Exalted Saint), the Paya Gyi (The Great Pagoda) and the Arakan Pagoda. The image, which is heavily guided with gold leaf and believed to be of very great antiquity, was brought over by the son and heir of King Bodawpaya in 1784 from Mrohoung, Arakan. Bodawpaya, whose capital was Amarapura at that time, also built a road paved with brick from the capital to the eastern gate of the pagoda. Remains of this paved King’s Highway can still be seen, here and there. The original temple fell a victim to fire in 1884 and the present pagoda, with its terraced roof of gilded stucco, is, comparatively, a recent one. In the courtyard of the pagoda there are bronze figures, two of men and three of lions and a three headed elephant which were also brought over by Bodawpaya from Arakan as spoils of war, along with the image, which is 12 ft. 7 ins. high. Mandalay has a University College, an Agricultural College and a new Medical College. 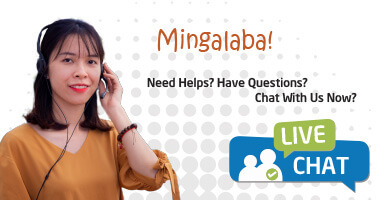 The United States Information Service runs a library and the British Council has a branch there. As a part of the new cultural renaissance, which is now under way, the Ministry of Union Culture has set up a School of Fine Arts, whose dance pupils have made a deserved name for themselves, and a museum and a library. 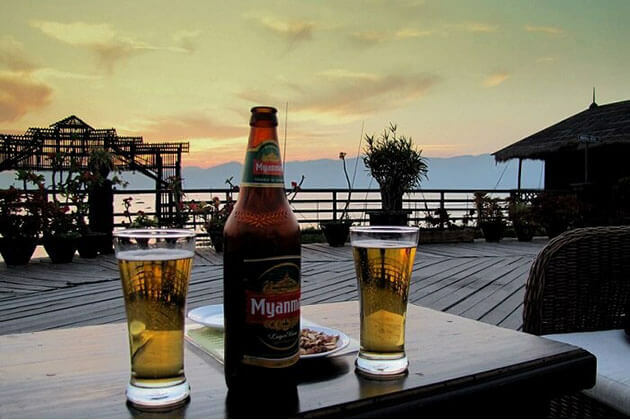 Mandalay is linked by air, rail, road and river, with Rangoon and other principal towns of Burma. 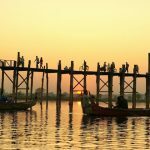 A river trip from Mandalay to Bhamo in the north, Pagan and Pakokku in the south, what with the memorable sunsets on the Irrawaddy, would make one of the finest river trips in the world. 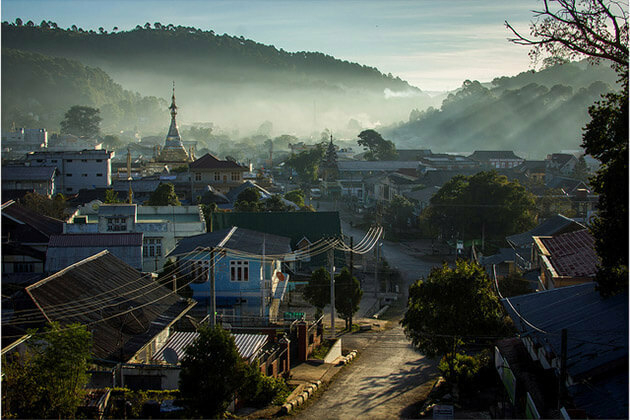 There are taxis near the Clock Tower in the Zegyo Bazaar which one could hire for trips to Maymyo-42 miles-Lashio, Meiktila and other places. Mandalay School of Fine Art. 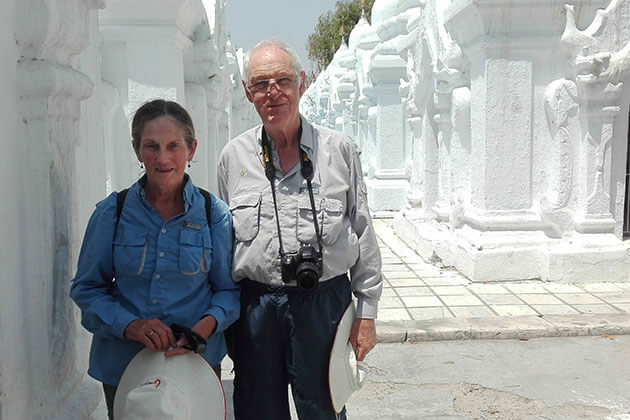 Within a distance of some 13 miles from Mandalay, to the south, there are three dead capitals, where the Burmese Kings built their palaces and held court, with all-too-few surviving traces of their former glory-some stray scattered ruins and some magnificent monuments in the shape of pagodas Amarapura, Ava and Sagaing. All over Burma, there are many places which were the seats of former Kings.